The good folks in north Idaho kindly raised us another pig. The fire season was such that there was some concern these critters would wind up as bacon well before they made it to the butcher. Luckily, this was not their fate. 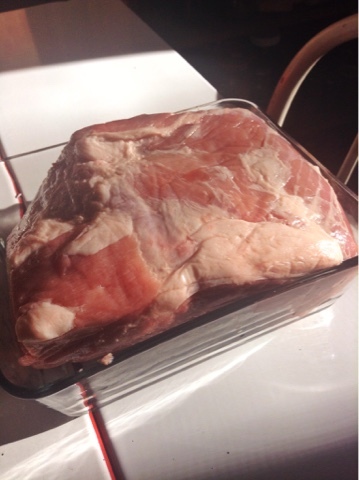 We're making pulled pork for the holiday out of this 6 pound picnic shoulder. 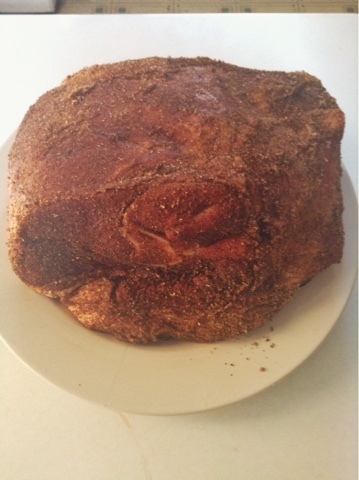 We rubbed it with cumin, coriander, black pepper, mustard powder, chile powder, salt and brown sugar and let it rest half a day before roasting it for 4 hours in a 300 degree oven. It'll be decent with a bit of sauce and slaw.